Sony Computer Entertainment Europe has announced the formation of a new wholly-owned subsidiary called Sony Computer Entertainment Polska. The company is being established to take advantage of the burgeoning Central and Eastern European markets, and will serve a region running from the Czech Republic to Russia. The new Polish arm of Sony's console business will be based out of Warsaw. "Many of the leading pan-European retailers with a strong gaming focus are already well established in Poland, and there are a number of very prominent and successful Polish retailers who are helping to invigorate the gaming market," said Hal Bame, Sales and Marketing Director for SCEE in Central and Eastern Europe. "Without a doubt, Poland is currently the powerhouse of growth in the games market in Central Europe, and SCEE's formation of a wholly-owned subsidiary in Warsaw will give even greater momentum to what is already a terrific success story." Marcin Ziobrowski, named as general manager of the Polish operation, said, "Our commitment to the Polish games market is clear. Not only have we today announced the launch of the Polish PlayStation Store, online storefront for PlayStation 3's PlayStation Network, but we will also be focusing on delivering even more game titles to our Polish customers in Polish. We already do this with PlayStation 2 and PSP titles but we will also be localizing PS3 titles as well." Publishing giant Electronic Arts also welcomed the move, with EA's Peter Laughton saying, "We are naturally delighted that SCEE has embraced the opportunities offered by this exciting and vigorous market, and we look forward to working closely with them to bring the joys of PlayStation to many more consumers here in Poland and across the region." 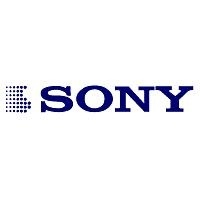 Sony Computer Entertainment Polska will officially launch on April1, 2008.